Non-traditional church wedding songs are powerful, magical and heighten the experience of your big day. The modern lyrics increase your contentment and become the beating heart of your spiritual marriage service. But, what soundtrack enhances your public declaration of love and commitment? The agony and ecstasy of finding the right music can be overwhelming. So, how can you avoid this dilemma? Basically, your choice of sounds will soothe and entertain you. What’s more, they will capture every ones attention and a great time will be had by all. By adding a special soundtrack to your event you’ll massively boost the mood and release any tense emotions. Feeling nervous on your wedding day is normal. What’s more, crying before and after the special event can be a worrying thought. Although, these sensations may be true, your top wedding day priority is to be like a princess and ooze pure romance. This is the perfect song to echo your big day emotions. This powerful love song taken from the film Romeo and Juliet adds a touch of elegance to your wedding. A classical singer or jazzy voice enhances your walk down the aisle. It helps alleviate any panic attacks coming on. Consequently, you’ll feel relaxed, beam with happiness and cheer up yourselves. Don’t worry if you burst into tears of joy. Additionally you can walk leisurely down the aisle to this famous song taken from the film Misty. It creates a cosy atmosphere that invites the guests to sit up straight in their seats and listen intently. Amazed by your entrance family and friends be ready to celebrate with you. As newlyweds you deserve to have a good time. Validate your love to one another and share your happiness, hopes and new lives together with this special song. 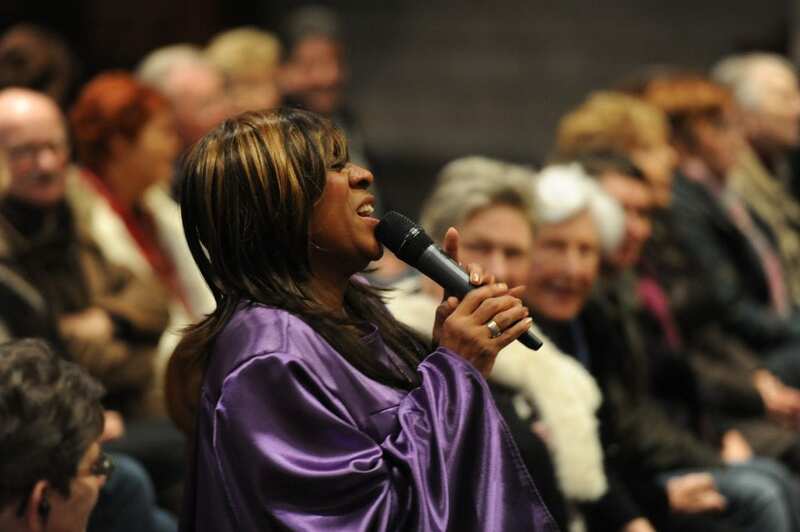 Hire a gospel choir to add the perfect finish to the end of your wedding ceremony. Basically, your guests will be in awe and give you positive reactions. Although, your guests are joyous at the prospect of your wedding, how do you create a romantic ambiance? Good spiritual music keeps you both featured as the main attraction: the focal point. This enchanting song sung by a choir makes your ceremony more special than ever before. So, calm your emotions and add this to your memorable wedding day soundtrack. After you’ve forged a strong bond of love by saying YES, I’m sure you will be really excited and happy to continue the celebrations. Sung by an classic singer you have a wonderful ceremony. Have it performed before you leave the church. It will put all your guests at ease and the kids, too. 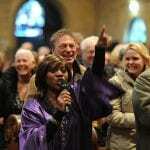 It is common to have a classical soprano singer, choir, harpist or string quartet perform live at a church wedding. But what sort of songs appeal to you? Make sure that you arrange the right church wedding songs with a “social music” feel at your ceremony. The Rose tells your special love story. 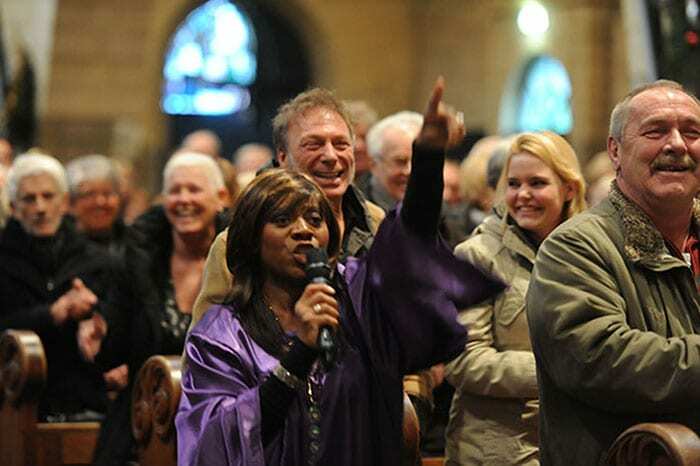 So, get a jazz singer to perform the song to keep the suspense going until you leave the church. Additionally, this amazing song from Adele creates an overall feeling of authenticity and inspires enthusiasm in your guests. So, if you get a suddenly rush of overwhelming sentiment. This memorable piece of music leaves a lasting impression on everyone. A solo singer can perform a beautiful rendition of the song. With this romantic hit sparks will fly, you’ll be in 7th heaven and look like movie stars for guests to admire and adore. This is awesome song that unites both families and friends will feel valued. Make your big day perfect with this perfect hit! Tip: Remember to check with the pastor and find out if the above non-traditional church wedding songs are suitable for your ceremony.